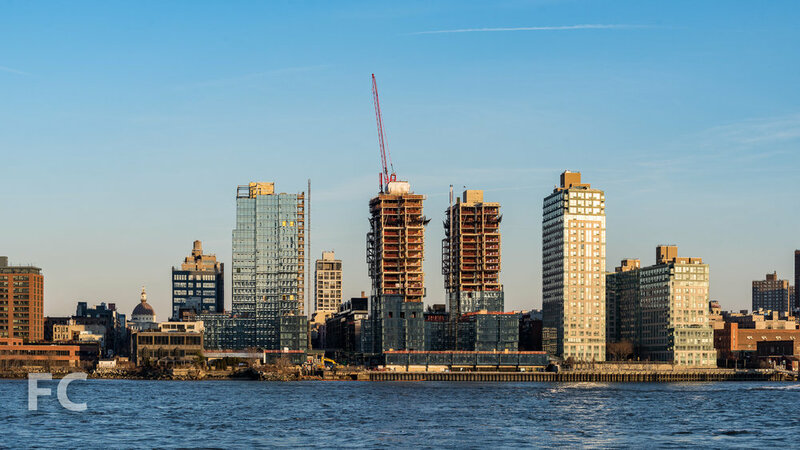 Construction is ongoing at Spitzer Enterprises' 420 Kent, the three-tower, 857-unit residential development on the South Williamsburg waterfront. Designed by ODA New York, the massing for each of the 22-story towers breaks down a simple rectangular extrusion into a collection of shifting boxes. Along with adding visual interest, the massing strategy also increases the number of corner units in each tower and adds outdoor terraces atop the shifting boxes. 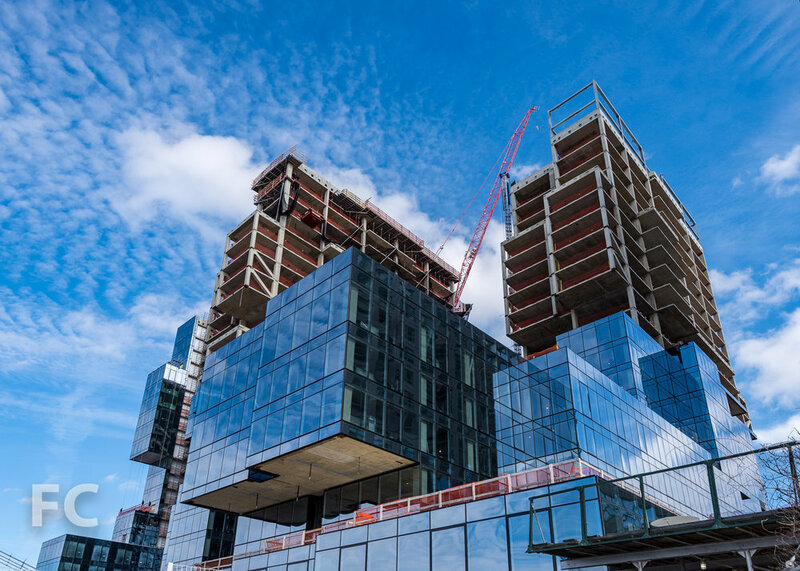 Curtain wall installation is underway at all three tower sites, with the northernmost tower nearly fully clad. 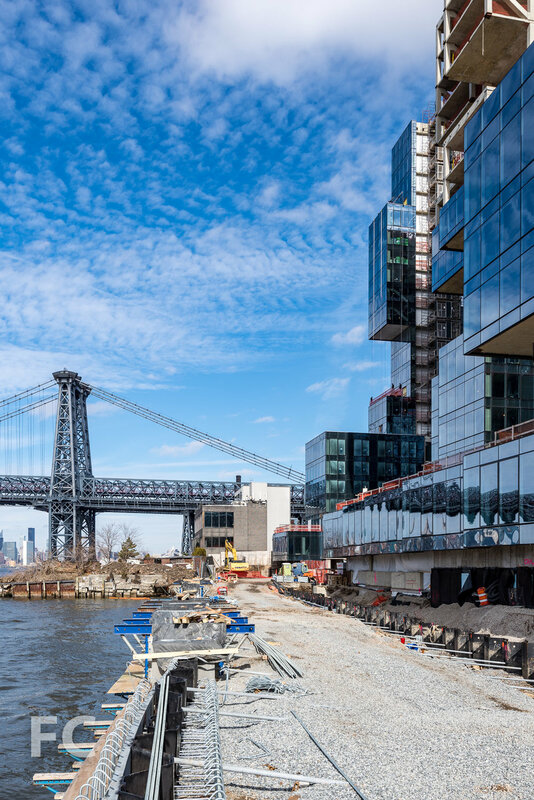 The floor-to-ceiling glass in the apartments will offer views to the Manhattan skyline, Brooklyn, and the nearby Williamsburg Bridge. Looking south along Kent Avenue. Looking up at the east facades. The project will also add 77,000 square feet of outdoor space, including a boardwalk along the East River. West facade at the East River waterfront. Architect: ODA New York; Developer: Spitzer Enterprises; Program: Residential; Location: Williamsburg, Brooklyn, NY; Completion: 2018.